Some houses in Australia still have single glass panels for their home’s exterior windows and doors. Sticking to one panel often isn’t enough to keep homeowners comfortable in fluctuating temperature conditions. 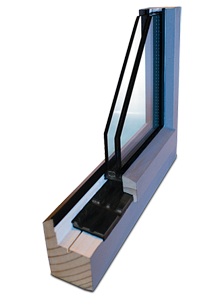 Retrofitting, however, is the installation of double glazing panels fitted into existing timber windows and doors. Two glass panels instead of one are used, greatly increasing the insulating power of your home. Double glazing existing timber windows and doors enhance a home’s ability to either retain a cool environment, prevent heat from escaping, reduce noise or a combination of both. At Thermawood, we ensure you get the most suitable Retrofitting Double Glazing System for your property. Each system has many astounding benefits for homeowners, both upon installation and in the long run and offers property owners a cost-effective solution. It doesn’t just provide the ultimate performance in window requirements, it also allows you to maintain the existing aesthetic of your home. 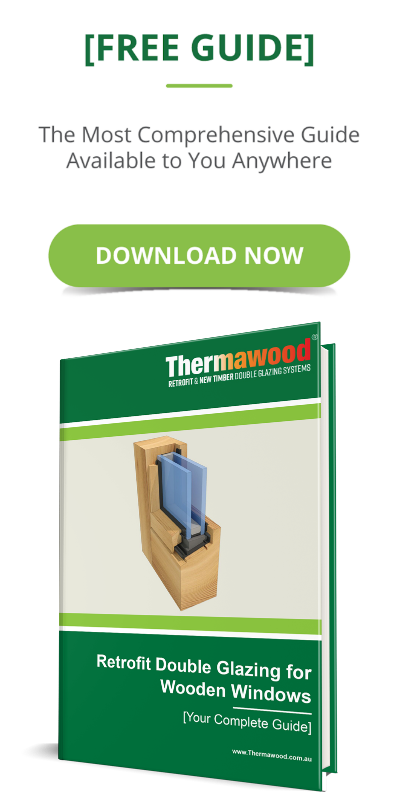 Thermawood retrofit is the best product on the market for converting existing timber windows. Low E glass and argon gas for even greater benefits in terms of energy efficiency. When you use Low Emissivity Glass and Argon gas, you dramatically improve the warmth of your home and lower the costs of your monthly energy spending. Preserved Aesthetic: The panels maintain and preserve the architectural integrity and character of your property. Eco-Friendliness: Our products are environmentally positive by retaining perfectly sound existing timber windows and door frames to reduce the amount of joinery waste that goes to our landfills. The Thermawood Retrofit Double Glazing System has been designed specifically for retrofitting existing timber windows and doors and has been designed with Heritage in mind. More and more homes in Australia are being double glazed, but to the detriment of the character of the home. Also, because of our unpredictable climate, there is a great need for a reliable system with suitable drainage to withstand all kinds of weather conditions. The Thermawood Retrofit Double Glazing System is the only system that has been designed with these conditions in mind. By investing in our research and development, we have been able to find an innovative solution for homeowners in Australia. Using the Thermawood Retrofit Double Glazing System ensures the longevity of the double glazing and also retains the original look and character of a home or building. We are true experts in the field of retrofitting. We have become a leading source of Retrofit Double Glazing in Melbourne and Sydney, Australia, helping homeowners maintain comfort in their homes. At Thermawood, we are committed to providing only high-quality, efficient and sustainable double glazing systems that improve the lives of our clients.